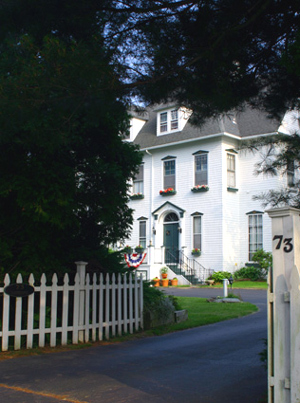 Many Newport bed and breakfasts possess rich histories and prominent former residents. The Admiral Sims' Whitehouse is no exception. 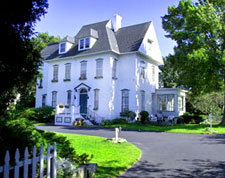 This Victorian home was once the residence of Admiral William Sowden Sims, a former President of the Naval War College. The Admiral commanded all U.S. Naval forces operating in Europe during World War I. Breakfast is typically between 8:30am and 10:00am. Free, off-street parking - one car per room - is provided. We are a smoke-free home. Sprinklers and smoke detectors for your safety. In-season is Apr 30 through Nov 14. Off-season is Nov 15 through Apr 29. 3-night minimum stay on holiday and event weekends. 2-night minimum stay on weekends with some exceptions. Some rooms can accommodate an extra person for $50. We refresh your room daily before 1pm. There is 7% state tax and 6% city tax in Newport. We will take a deposit equal to at least one night's stay in order to reserve a room. The balance is due at check-in. Cancellation Policy: Since we are a small inn, we have a strict cancellation/change policy. There is a $50 processing fee. If a reservation is cancelled or changed within 14 days of the arrival date and by 9am on the date of arrival, we'll deduct $50 per room from the deposit and send you a Gift Certificate for the remainder. Otherwise, we'll refund your deposit minus the cancellation / change fee. There are no refunds for early departures, no-shows, or cancellations on the date of arrival. Each room is named for a President, and the innkeepers truly do treat every guest as a member of their own First Family (especially if you're in the military)! 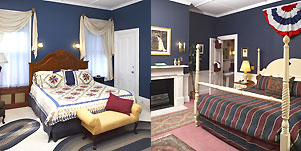 You may stay in either the East Wing or West Wing, and you'll have either a king or queen-sized bed in your room. All rooms have private baths and several have soaking tubs. The Inn offers some amazing Specials and Packages. Be sure to mention the special when booking, since some are offered for a limited time. Note: Specials are not accepted on existing reservations. Join us by the fire for popcorn, cocoa and the hope that it snows! We welcome you for a 2-night stay and spoil you with a lovely basket full of goodies (wine or champagne plus sweets & munchies), 2 mansion tickets, and dinner at a favorite local restaurant. The hot breakfast and parking are complimentary. Avoid the crowds and have Newport to yourself. Book early to get this fabulous Valentine rate! Stay at the Admiral Sims' White House for a two-night minimum anytime between 14 and 18 Feb. This incredible rate includes a bottle of wine and a half pound of assorted Newport chocolates. Breakfast is not provided. Attend a Belcourt Castle affair and get 20% reduced rate at our Bed and Breakfast. Since we're a military family, we consider you part of it. All the comforts of home for your six week or one week TDY/TAD travel. Your per diem rate covers a wonderful, clean home plus living room, parking, laundry facility and more! Now how many Newport bed and breakfasts offer such a deal to our servicemen and women? We participate in Newport's Getaway Packages. Stay one or two nights (Sun-Thurs), get full breakfast each morning, get admission for two at area attractions, and receive discounts at popular shopping and dining establishments. We would love to pamper you during the holidays. Stay with us for Thanksgiving, Christmas or New Year's and enjoy Newport's many festivities. You won't have to cook or clean for this holiday celebration, just sit back and relax! For the business traveler, we will work with your company to provide a corporate rate package to ensure you have the comfort of home and the support needed for conducting business. With free parking, wi-fi, and access to kitchen facilities, you can focus on business while on travel. 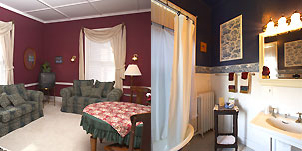 Few Newport Bed and Breakfasts can offer such outstanding accommodations for your business needs. 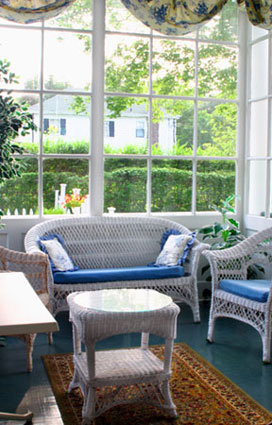 If you're considering Newport bed and breakfasts for your stay in the "City by the Sea", this may be just what you're looking for. 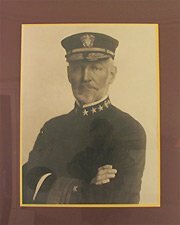 Feel free to contact the Admiral Sims' Whitehouse any time to make your reservations or obtain more information. Simply contact the house at the number below, and someone will get back to you soon!